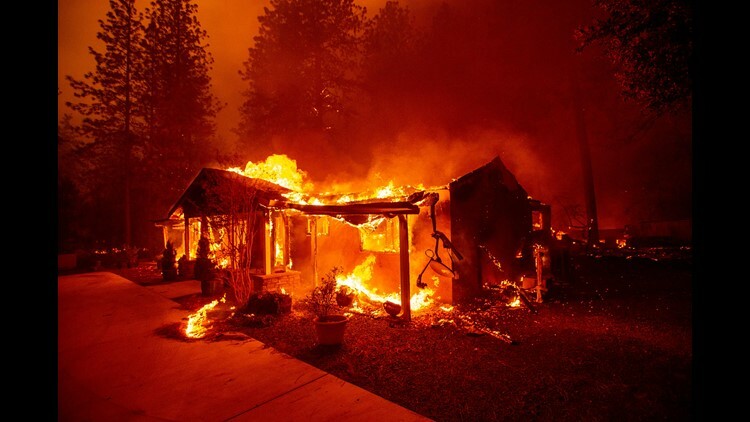 A home burns during the Camp fire in Paradise, California on November 08, 2018. - More than 18,000 acres have been scorched in a matter of hours burning with it a hospital, a gas station and dozens of homes. 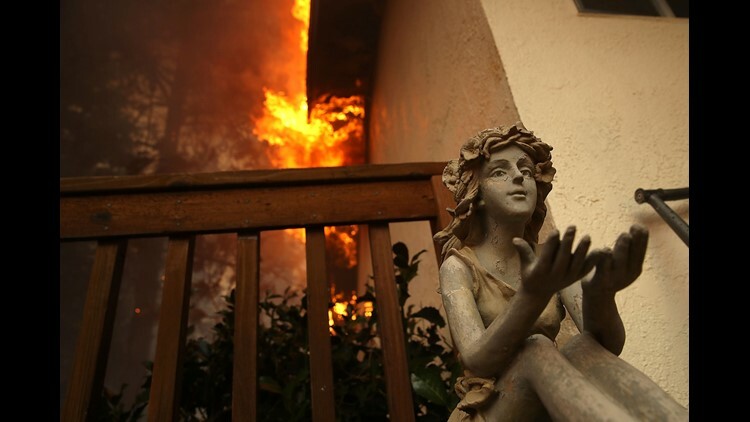 A statue sits on the deck of a burning home as the Camp Fire moves through the area on November 8, 2018 in Paradise, California. 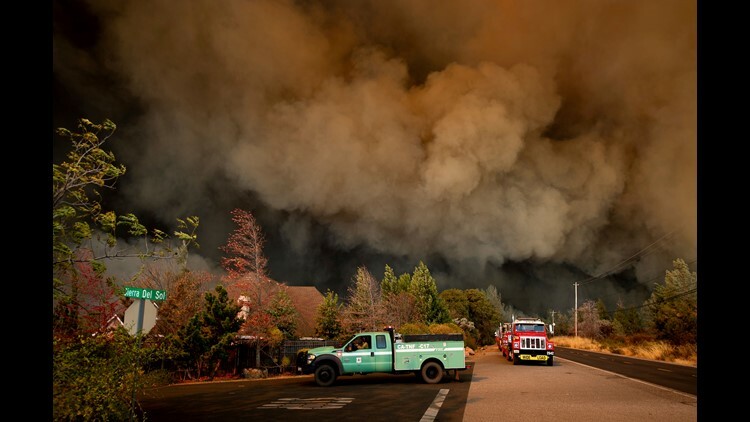 Fueled by high winds and low humidity, the rapidly spreading Camp Fire has ripped through the town of Paradise and has quickly charred 18,000 acres and has destroyed dozens of homes in a matter of hours. 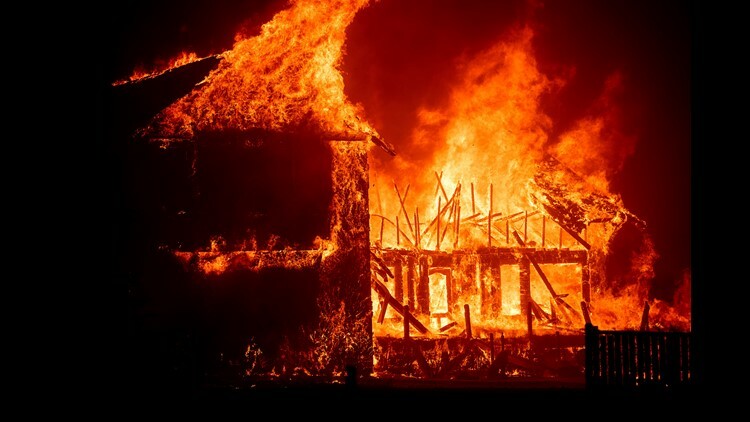 The fire is currently at zero containment.